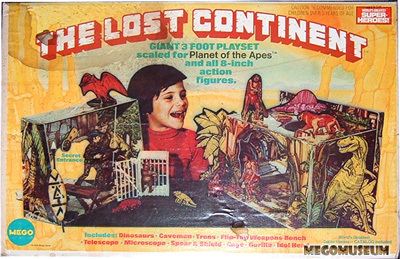 that this playset would also be good for Mego "Planet of the Apes"
figures. 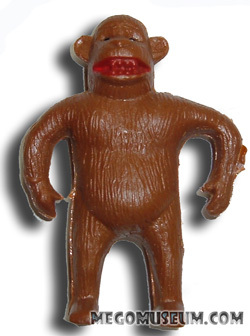 Apes were easily out selling AJ at the time. 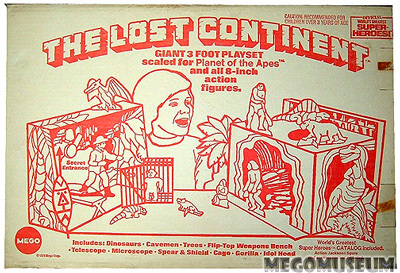 The back of the box features a classic litho! IDOL HEADpart of a mechanism that hold the stairs in place.